Why Pham Van Dong Beach is special ? Da Nang beach stretches nearly 60km from Hai Van Pass to Non Nuoc with stunning uninterrupted beaches. This deserves an ideal rendezvous for resting, relaxing and bathing in the Asian region. As one of the beautiful and impressive beaches in Da Nang, Pham Van Dong Beach is located at the end of Pham Van Dong Street, Phuoc My Ward, Son Tra District, Da Nang city. Built in Bien Dong (South China Sea) Park, it is one of the beaches serving a community, which was invested in upgrading relatively well. The beach can serve from 3,500 to 4,000 tourists setting foot in daily for bathing. Pham Van Dong Beach is now one of the fascinating attractions in Da Nang. Owning a quite wide area with breathtaking natural scenery and the wonderful service conditions, Pham Van Dong Beach is always crowded but not too hustling and busting. The beach also offers rows of shady trees and evergreen lawns, creating extremely comfortable space for tourist. Here, tourists have the opportunity to mingle with the nature, the sun and the wind of Da Nang or simply read a magazine right in the vast space of heaven and earth. Staying away from the hustle of urban life, Pham Van Dong Beach is worth an ideal attraction in Da Nang for those who would like to look for peaceful space and romantic scenery. What to explore at Pham Van Dong Beach? Anyone who has been to Da Nang certainly cannot forget the fresh air together with friendly and hospitable citizens here. Going to Pham Van Dong Beach, tourists also have a chance to fully experience those feelings. Space and Da Nang people are always the most profound impressions deeply leave to tourists in minds after the journey of discovering the beauty of this coastal city. Especially, at Pham Van Dong Beach, the ancillary works such as a fountain, 6 freshwater reservoirs, 26 shower suites and 24 dressing rooms will surely satisfy any demanding tourists. The wonderful natural scenery and excellent services, the beach deserves one of the most wonderful beaches in Da Nang, attracting tourists to participate in Da Nang tours. Not far from Pham Van Dong Beach to the south, My Khe Beach and Non Nuoc Beach are also the gorgeous rendezvous. There is also the significant number of Da Nang coastal hotels increasingly springing up to meet the demand of tourists. 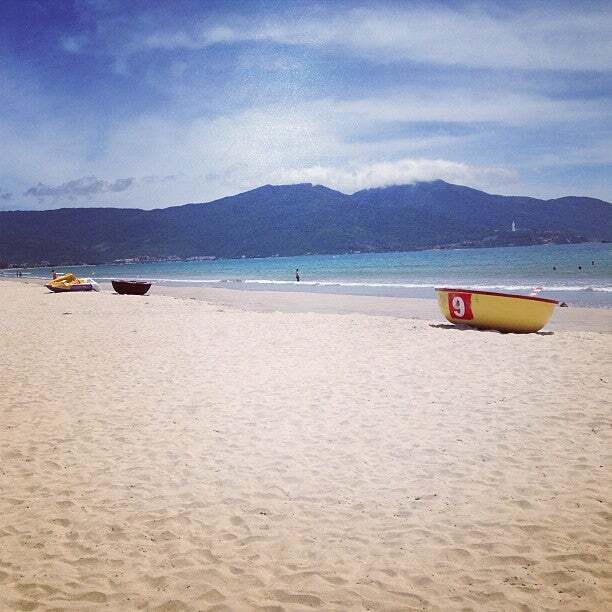 Going to Da Nang in the summer, tourists comfortably immerse in natural scenery - the privileges donated for this city. Above all, getting into the blue waters, tourists will have a chance to soak up unforgettable moments. Choosing Pham Van Dong Beach as the rendezvous for relaxation will certainly be one of the wise decisions of tourists. Not only is it home to wonderful bathing, but Pham Van Dong Beach also attracts tourists by the lively events and festivals held here. The beach hosts numerous events and big festivals in Da Nang, for instance, international parachute, paragliding or sand sculpture building contest. 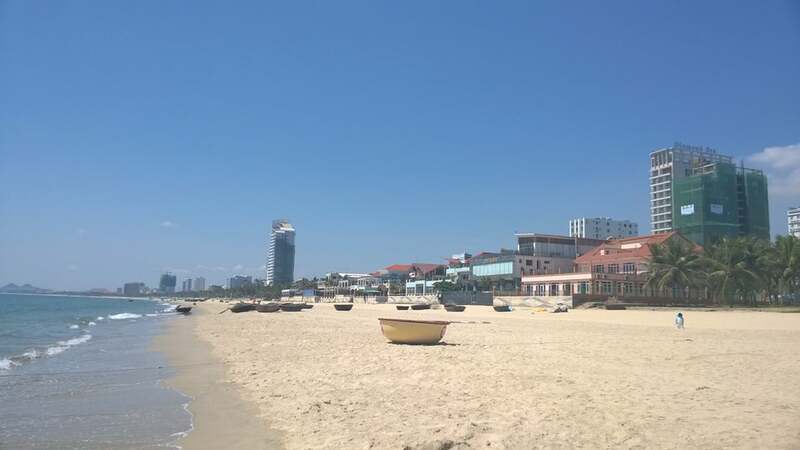 Thanks to the "favour" bestowed Pham Van Dong Beach in particular and Da Nang travel in general; the city has become an ideal destination in Asia, and one in 6 engaging beaches on the planet. Pham Van Dong Beach thus plays a major role in promoting Da Nang tourism to international friends. How to get to Pham Van Dong Beach? By motorbike: If you are in the center of Da Nang city, you will pass through Han River Bridge and go straight on Pham Van Dong Street. Then you turn right on Vo Nguyen Giap Street to get there. It takes about 10 minutes by motorbike. It's worth heading out of town for if you feel in need of escaping the stifling city heat from May through till September. It is located at 12A Pham Van Dong, An Hai Bac, Son Tra District, Da Nang, Vietnam. 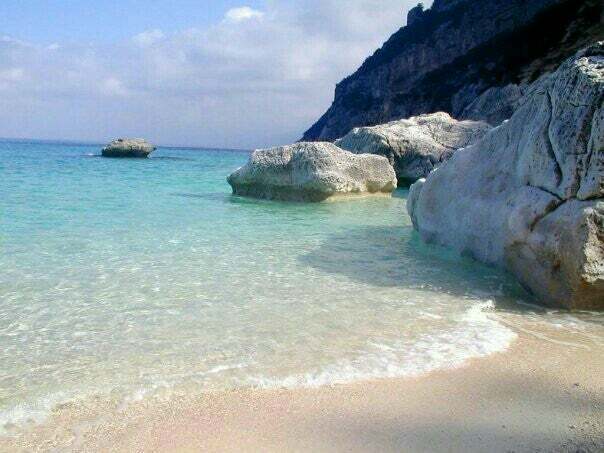 Great beach for swimming, esp. In the morning. Long and wide sand. Very clean beach without street vendor. There are guards to protect visitor when swimming. Pham van dong beach located at the end of Phan Van dong street, next to Bien Dong Park. 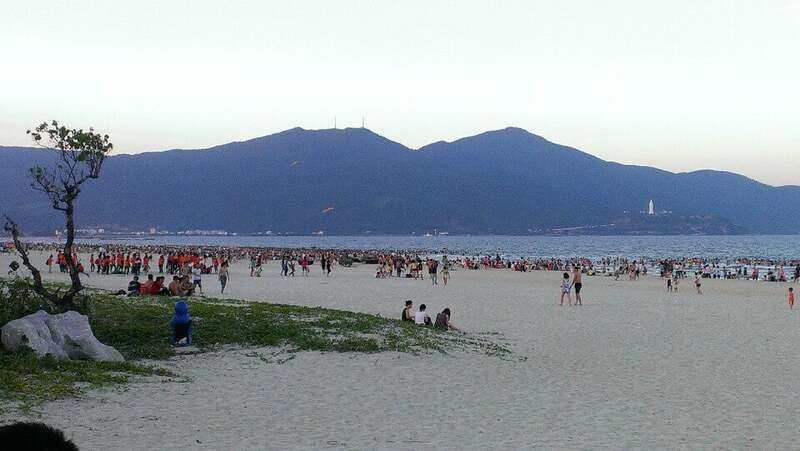 It is one of the most actractive beach of Danang city, with the long and cleand sandy stripe. You wont be bothered by the hawkers. Lay down and enjoy your wonderful beach with a cold drink, that is your heaven ! Great beach for swimming, esp. In the morning. Long and wide sand. Veryclean beach without street vendor. There are guards to protect visitor when swimming.